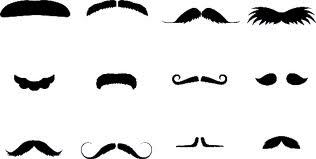 What does your mustache say about you? Our very own mustachioed preacher, Jon Brower, spoke last Sunday morning & evening on Obedience to God's Will. While his message had nothing to do with mustaches, he sports one & that is why I decided to devote the first paragraph of this post to the hair between the lip and the nostril. And now, without further ado, the quotes from my live tweet hashtag: #BTSermon. Brower began the meeting with a defense of absolutes. We believe in a God who has established a certain order in the universe & expects us to follow His commands. This reasoning reminds me of the epistle of James, which reminds us that if we refuse to do what we know we ought to do, we are sinning. Also, later in 1 Samuel, the book's namesake reminds Saul that God prefers obedience over sacrifice. How are we different from the world? 1) We do the things God commands 2) because God commands it. There are a lot of people who obey the Lord by accident. We are supposed to do it on purpose, with the intent to please the Lord. That second part changes the dynamic entirely--it makes things that much harder. We need to watch the motivations of our heart. God sees through the pretense. God knows more than just what is said out loud. God is spirit and communicates on a spiritual level with us. Therefore, just because a man prays audibly, it does not mean his spirit is right with God. Conversely, a woman may pray silently to a greater effect than all the men in the assembly combined. We should strive to maintain a pure heart through self-evaluation and confession that we may keep in constant communion with God. When we conduct our self-evaluation & confession it results in immediate cleansing. God is faithful & just to forgive (1 John 1.9). This constant remembrance of how far we have come & how far we have to go should keep us humble. Christians can be a proud people. It is this issue which is at the center of the two books I just reviewed. We are either to proud to let people into our club, or we are too proud to give to others. The truth is, we are all lepers. We are all just a decision away from getting stuck in the mud. It is by the grace of God that we are where we are. Keep that in the forefront of your mind and you should be kept sufficiently humble. Not only should we be humbled when we honestly evaluate our flaws, we should also be humble when we consider the good works we do. All we do should be as unto the Lord. We can be present at all the meetings & use our resources for God's work yet continue to hold back in the department of devotion. Our motivations can get in the way of our obedience. God can use our deeds despite of our disposition, but we will still be in the wrong. Our desire should be to finish well for the Lord. In this view, it does not matter where we are now. We could be doing well now or not. What matters is not the past, it is the future. We cannot change what we have done, we can only confess, learn & proceed into the future. In addition to joining the conversation on twitter, you can look over to the sidebar of this very blog and see the most recent tweets with the #BTSermon hashtag! There are plenty of quotable nuggets from Brower in that list which may enlighten you. Feel free to discus below or shoot out a link to this post.